Discussion in 'Transformers News and Rumors' started by G1 Evac, May 24, 2017. 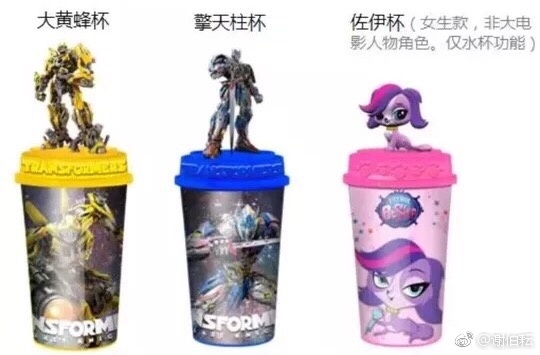 KFC in China will have TLK cups for sale starting May 27 in China, this is also in conjunction with the local Children's Day which falls on June 1. There are 2 designs to choose from, Optimus Prime & Bumblebee. The little figures do have sound effects but nothing can save it from ugliness. 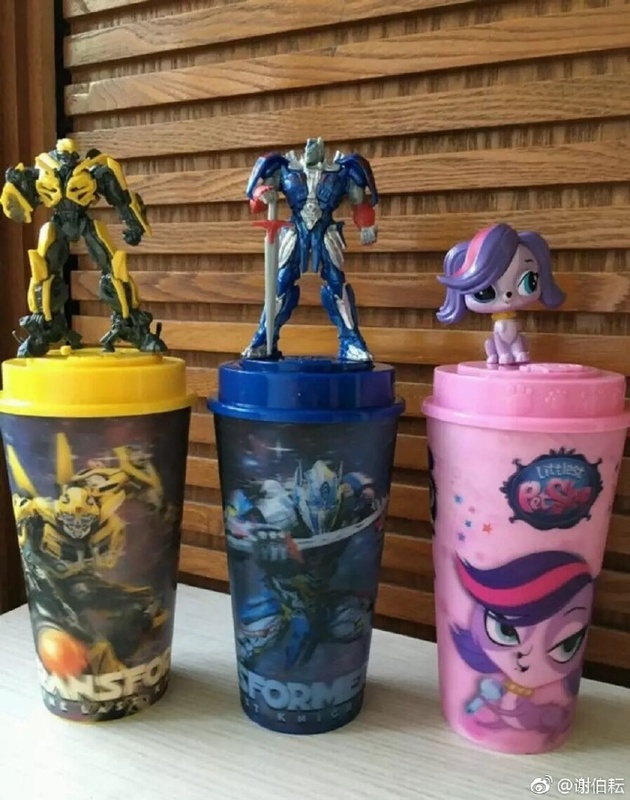 However, if you don't want the Transformers cups, it means you have to suffer the 3rd option: The Pink One. The good news is everybody can get some cool TLK stickers! 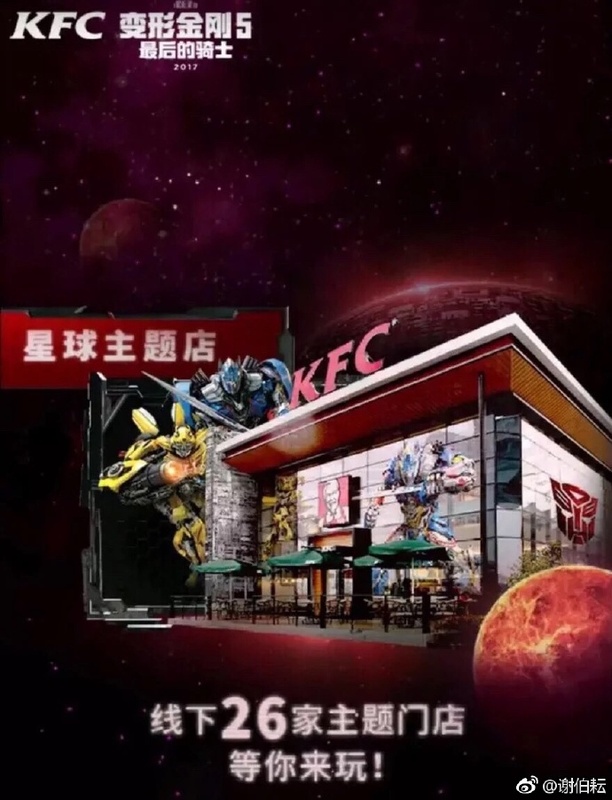 BTW, there will be 26 KFC outlets decorated with a full-on TLK theme. But they also offer The Pink One. Quick, somebody post this very important and vital piece of news before somebody blurs my weibo watermark from the photos and send them to other sites (again)! I can't wait for Optimus to violently run through me like the rest of KFCs food. 2. Oh wow they actually got the right model of BB and didn't just reuse an AOE topper. very[/B] important and vital piece of news before somebody blurs my weibo watermark from the photos and send them to other sites (again)! Thanks for sharing, to the front you go with your credit. Remember you can also use the "contact us/send news" to share news to the team. Thanks! I would assume just on principal because TFs and KFC are a lot more popular over there. The equivalent would be McDs running a SW campaign here. 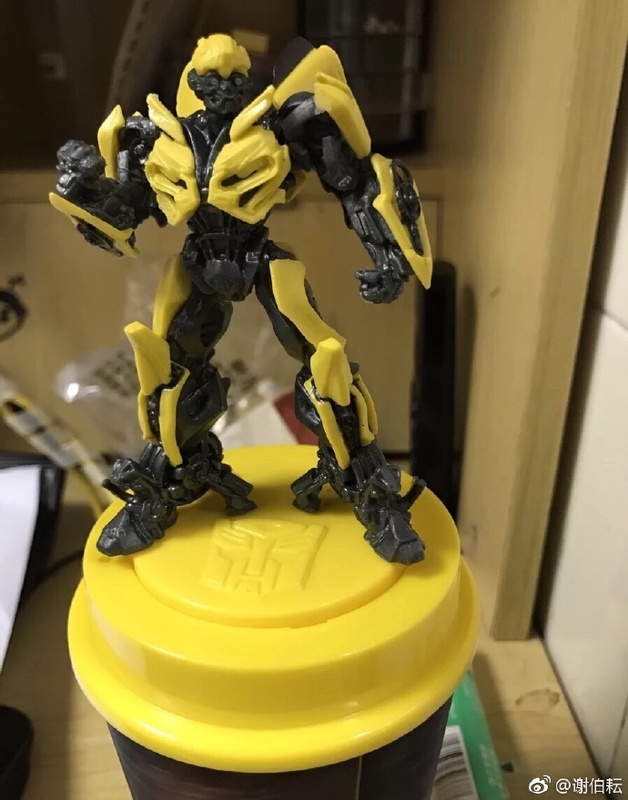 Bumblebee looks like the Masque of the Yellow Death. There is a KFC in China? Theres a Pizza Hut right beside the Great Pyramids in Egypt.